After the assassination of Arafat (as I believe, without proof), Abu Mazen assumed the leadership of both Fatah (the party) and the PLO (the semi-government). He is no second Arafat — he has neither the heroic stature nor the international status of the Founder. But he was accepted by all. Arabs have a very different concept of time from Jewish Israelis — we are impatient, we need instant gratification. Our political history is short, our state came into being just 70 years ago, we have no patience whatsoever. I believe that faced with the might of Israel, that is the real doctrine of Abu Mazen — wait patiently until conditions change, let Israel exhaust itself. In the meantime, hold on, cling to the soil, don’t give up an inch, what the Arabs call “Sumud.” It may take one, two, three generations, but in the end we shall win. If he had been speaking about “West Jerusalem,” the storm would have been mild. 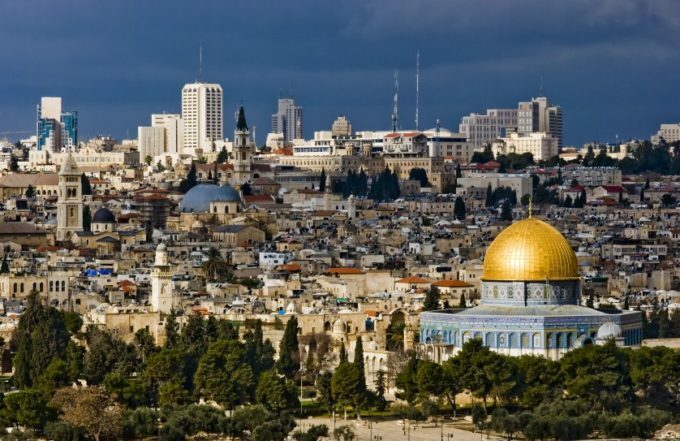 In practice, everybody agrees with West Jerusalem being the capital of Israel. But Trump spoke about Greater Jerusalem, only hinting that in some indefinite future, final borders may be drawn. Immediately after the 1948 war, when my friends (both Jews and Arabs) and I drew up the first peace plan based on the principle of “Two States for Two peoples,” we called for a “United Jerusalem, Capital of the Two States.” This is still the only viable solution. Actually, there was nothing new. He confirmed the terms of the “Arab peace plan,” to which I, too, agree wholeheartedly. He completely rejected the so-called “one-state solution,” to which some extreme left-wingers subscribe now out of sheer despair. This would mean in practice a Jewish-dominated apartheid state. The resolutions of the meeting — the PLO Central Council, which is the Palestinian parliament — finally reject the notion that the US could possibly act as an impartial mediator. The Council decided to “suspend recognition of Israel,” which is a rather empty gesture. But it also issued a call “to stop security coordination (with Israel) in all its forms,” which is a much more serious matter. I doubt whether Abu Mazen can do this. It called for a boycott of the products of the settlements — a boycott which Gush Shalom, the peace movement to which I belong, initiated in 1998. But it also called for support of the BDS movement, which advocates a boycott of everything Israeli. He is now 82 years old, but still younger than I. It seems that — like me — he has decided to live forever.